Trying to find the best smart thermostat for your home isn’t all that simple. Between tons of home appliance brands, different installation processes, and everyone telling you that they’re the best, finding your perfect thermostat is suddenly a nightmarish hassle instead of an easy trip to the store. When it comes to selecting the best option, you must first analyze your own needs. Do you prefer displays screens like on a digital thermostat, or something that’s much easier to install, like a wireless thermostat? Or perhaps you’re looking for a non-programmable model, that’s both extremely affordable and universally adaptable to nearly every HVAC system. While the smart models pretty much have it all, we’ve nonetheless compiled a short list that stacks up two of the more common model choices, smart and programmable. But, Which One Is Right For Me? Choosing the right model depends on a few things. For example, those who travel often may want a smart thermostat that can adapt, learn, and become more energy efficient on its own, like a Nest learning thermostat. On the other side, people who spend much of their time at home, may only need a non-programmable thermostat since they’ll be around the house to adjust the temperature whenever needed. It would also be relevant to consider the age of your home, meaning some houses built decades ago may only be compatible with more universal models, like non-programmable thermostats. Since smart models connect to Wifi networks for remote control ability, adjusting the temperature can be very convenient, too. However, many of these features are slowly trickling down into non-connected programmable thermostats as well. However, you should know that nearly 40% of homeowners don’t use their programmable scheduling features, either because it’s too complicated to set-up or they don’t realize that’s an option. This is where smart models, like the Nest e-thermostat, have the advantage, their user interface is much easier to learn, which means their energy consumption rates are potentially much better down the line. You’ve Picked A Model, Now What? Let’s say you narrowed it down to a preferred brand, or perhaps a specific model. Does that mean you’re ready to install now? Not quite; you still got more homework to do. Below are the most important aspects to consider when installing your ideal thermostat. Determine whether or not your heating and cooling systems are separate or together, and how your system is powered: gas, oil, electrical, or furnace. Some systems use two-stage heat pumps while others may rely on electrical baseboards. Depending on your system, some thermostat models may not be supported. Analyze your wiring set-up. While older, programmable models will only need anywhere from 2-4 low voltage wires, most newer models, such as a Nest smart thermostat, will require a port for the C-wire. Short for “common wire”, this will ensure that a continuous flow of power reaches the thermostat so that display and wifi features work at all times. While you may think having a simple manual interface is enough, this will actually cost you more down the line if you’re never around to adjust its settings. Those who work all day, or travel often, may benefit much more from having smart thermostats that can “learn” your schedule, and adjust itself accordingly. If you’ve stuck with me this far, then you’re already a dozen steps ahead of the average buyer. Home appliances are an important part of your life, whether this is clear to you or not. 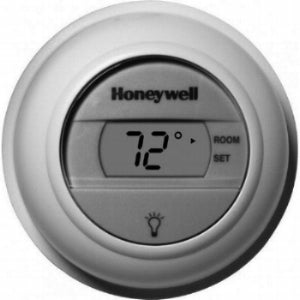 If you’re currently looking for a new thermostat, then check out our inventory today. 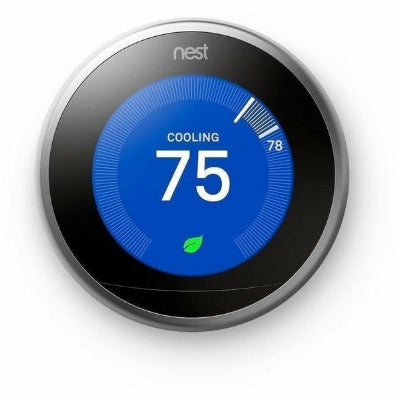 You can buy your programmable Honeywell or Nest thermostat wholesale directly from us. We have the lowest guaranteed prices for all brands we sell. Get quality products, and save money! Links to our top sellers are below.